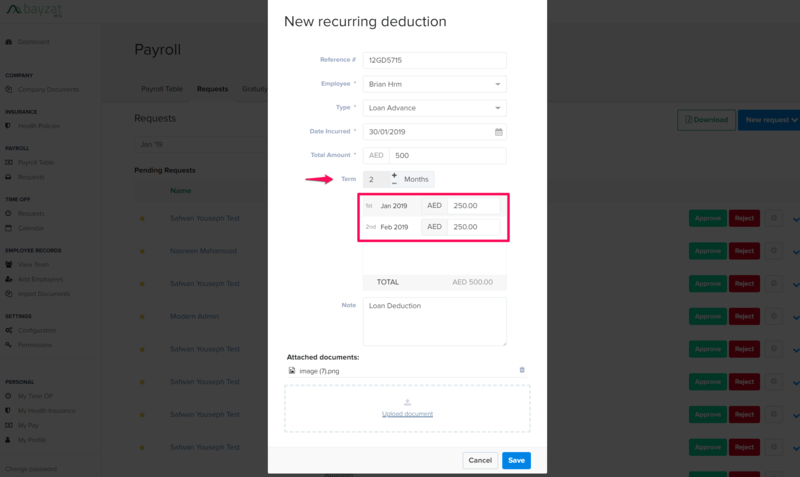 How can I automate recurring deductions? As an Admin you can create a recurring deduction request for employees to be deducted from the monthly salary. For large sums of money the employee owes the company such as loans, salary advances and other forms of repayments, you can set the recurring terms without creating manual monthly deductions. Clear visibility into how much of the total deduction has been paid back and how much is outstanding, all tracked online. How to create recurring deductions? You can adjust the monthly payment amounts if needed, but ensuring the sum of all monthly payments is equal to the Total Amount. 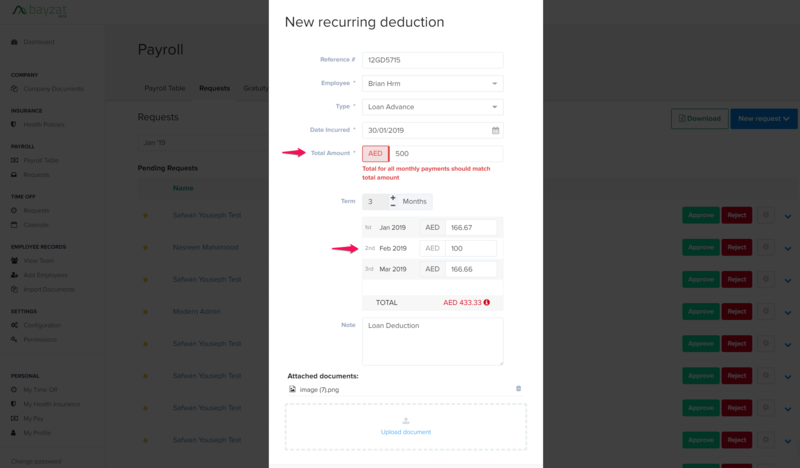 Upon saving, the deduction record is created under requests and payment details shown for each month. 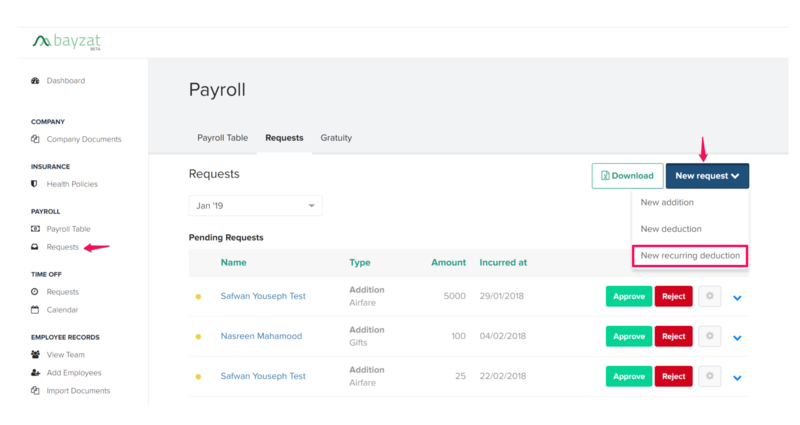 When a payrun is closed the subsequent payment from the total amount is automatically created in the current month's payroll and automatically approved as shown below. Only the admin can delete requests. Any amounts in closed payruns will remain as is while the outstanding payment amounts for upcoming months will be deleted.